A syndicate of established local farming families has beaten a number of offshore funds to secure a 5,200 hectare cropping and grazing portfolio in Victoria’s Western District for close to $30 million. The portfolio, which comprises 10 properties located between Skipton, Beaufort and Ararat, includes approximately 4,100 hectares of cropping land, with the balance utilised for grazing. The deal between the syndicate and Demeter Farming Australia, owned by international alternative investment manager Altima Partners LLP (Altima), was brokered by CBRE Agribusiness agents Duncan McCulloch, James Beer and Danny Thomas. CBRE Agribusiness Regional Director Danny Thomas said the off-market sale process unearthed an incredibly strong level of interest from both domestic and international parties. “The Demeter Farming offering represented a rare opportunity to secure a large scale portfolio of assets in a highly reliable and productive agricultural region,” Mr Thomas said. 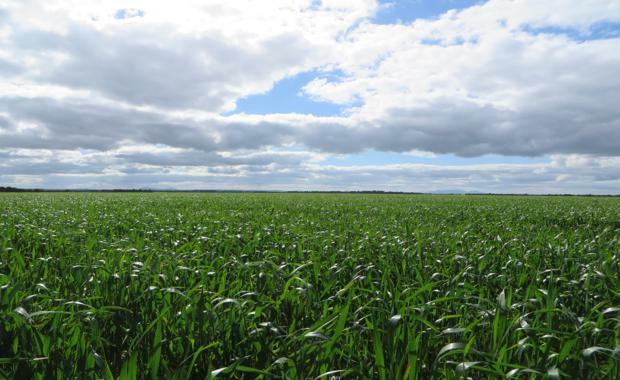 The Demeter Farming Australia portfolio comprises; Baangal South (1,414ha); Baangal North (574ha); Middle Creek (602ha); Glendalough (347ha); Ross (132ha); Roean (221ha); Cross (94ha); Emu Downs (235ha); Loyola (1,256ha); and Moreton Hill (319ha).